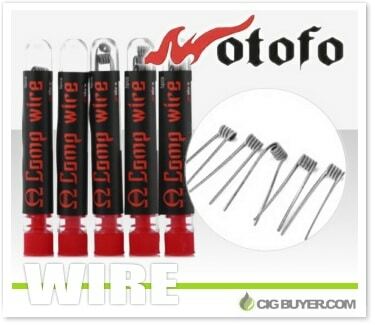 For all of you coil builders out there trying to improve your RBA build game, Wotofo has some pre-built wire options that will make the process even easier. We all know that some builds are extremely difficult to achieve, but now you can get pre-coiled Wotofo wire in several different configurations: Twisted Wire, Quad Wire, Helix Wire, Clapton Wire, Hive Wire and Tiger Wire. All of Wotofo’s coil wire is made with iron chromium aluminum alloys (FeCrAl) at various gauges and ohm ratings, depending on the coil configuration.